Make gold accessible and secure for payments and savings. Canadian digital currency startup BitGold has successfully closed a $3.5m Series A funding round. PowerOne Capital, Soros Brothers Investments, Sandstorm Gold and PortVesta Holdings are Participants. Notably, the man behind Soros Brothers Investments is Alexander Soros. The Toronto-based company offers a consumer-focused Internet platform for global blockchain payments. Alongside access to secure and redeemable gold for savings. BitGold raised angel funding from its own co-founders Josh Crumb and Roy Sebag earlier. BitGold says its mission is to provide “global access to gold for secure savings and transactions”. 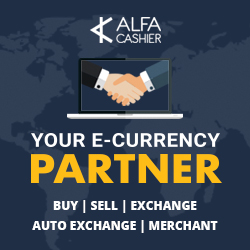 While at the same time offering digital payments based on blockchain technology. Blockchain technology has already unleashed a wave of payments innovation that will empower people. By lowering costs and offering more access to safe and transparent financial services. Within 1% of official gold price. Over 10 physical Brinks locations. As 10g Gold Cubes or 1kg Bars. Payment to & from any BitGold user. At any point of sales with your BitGold DebitCard. Accept gold from the BitGold network or credit cards. Insured by The Brinks Company against theft or loss. Rewards you and your friends for sharing the BitGold experience.